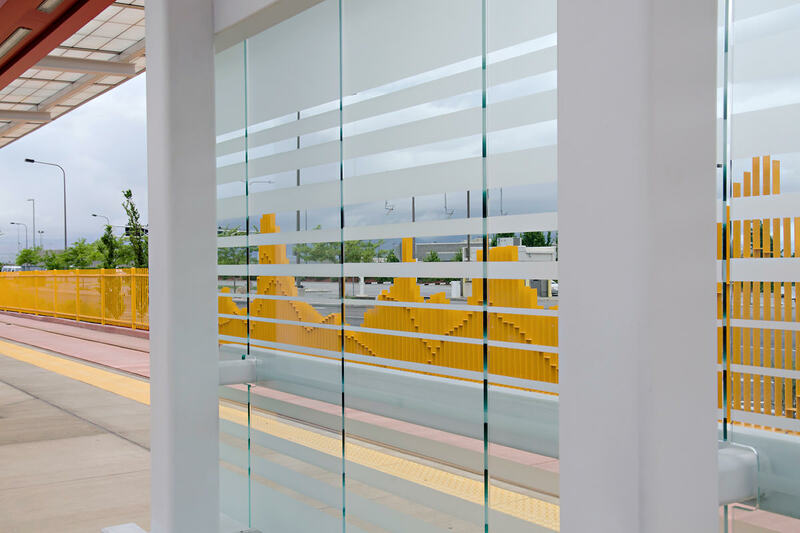 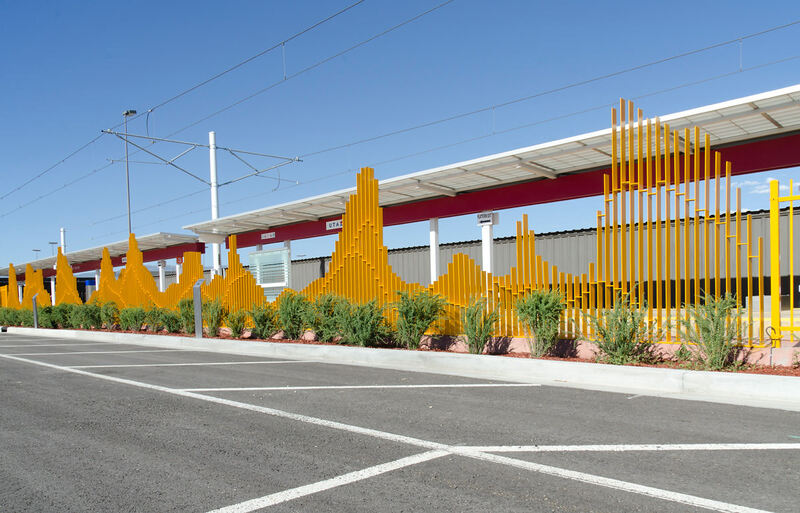 Gordon Huether fabricated a 96-foot profile mountain range sculpture that was integrated into the fencing along the light rail platform. 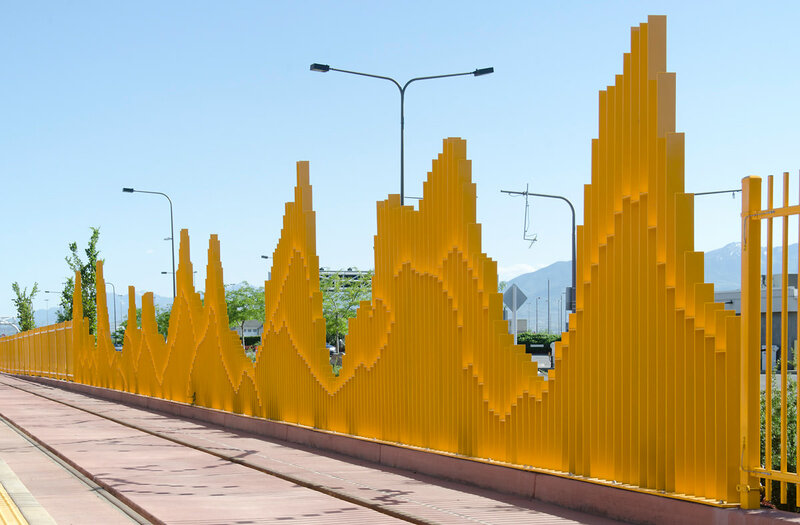 A visitor to and an admirer of Utah, Huether took inspiration from the Wasatch Mountains as his muse to create a profile of the mountain range which he segmented vertically. 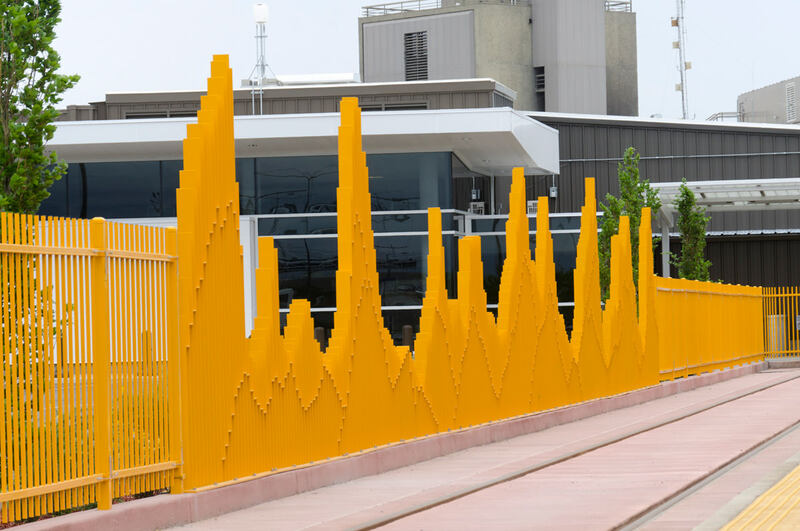 The sculpture is fabricated from quarter-inch steel plates powder coated in an intense burnt orange one might see at sunset in Bryce Canyon. 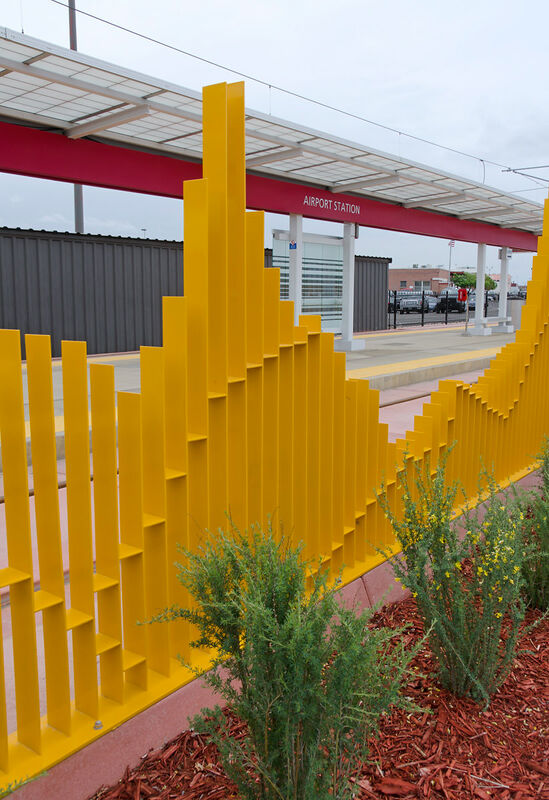 The sculpture varies in height from three feet to nearly nine feet and is highly engaging by both pedestrians and motorists. 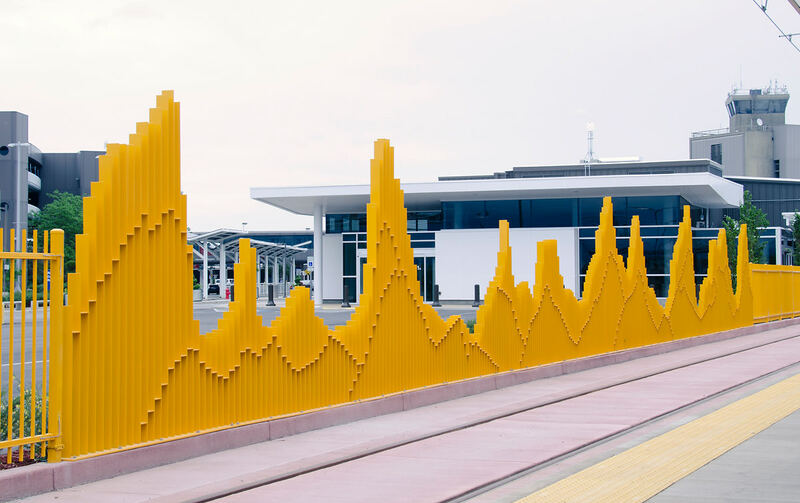 The sculpture is in essence passively kinetic as the plates and their spacing combine to create a mountain range that visually opens and closes dependent on the angle of viewing. 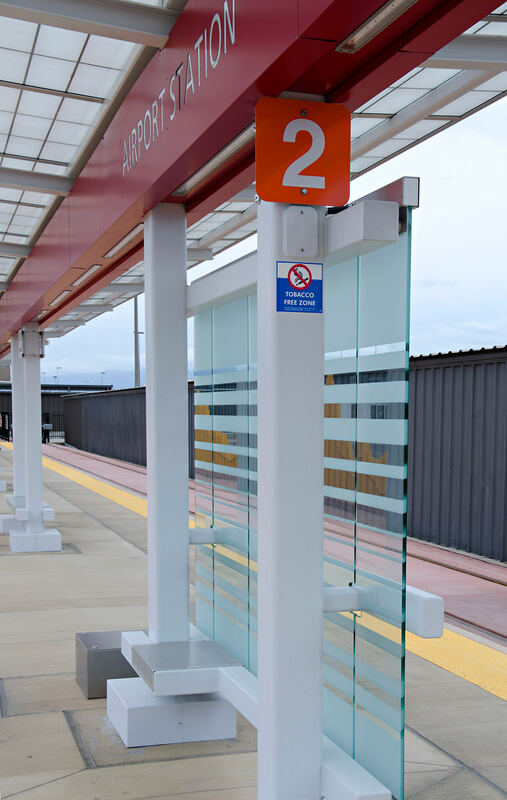 Driving by in a car or riding in a TRAX train past The Canyon increases this dynamic since one is moving at a higher rate of speed.